After stressing the advantages of investing in colored diamonds, many of you contacted us and asked which colored diamond category you should invest in accordance to your budget. Since this is one of our most frequently asked questions, we figured it was high time we shed some light on the matter. In the following paragraphs we will be exploring which colors comprise each one of the categories, as well as their value in $/carat in order to help you find the ideal stone to match your budget. No jewelry or historical value will be assessed in this article. We will be comparing only loose stones. A proper side by side comparison requires all things being equal. We will be comparing stones based on their color and rarity. For all intents and purposes, diamonds (regardless of color) will be considered to be of equal carat size, cut quality, and clarity. 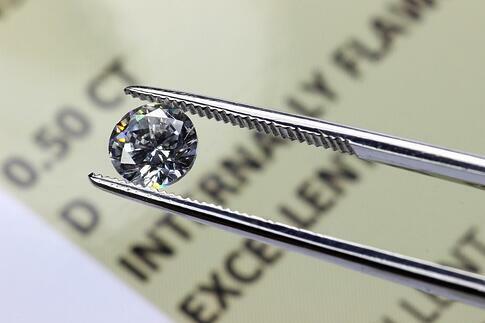 All prices per carat will be measured using “eye-clear” clarities as a benchmark. Which Colored Diamonds are the Rarest? 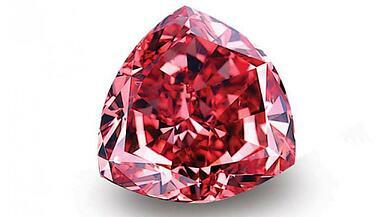 For those who didn’t know, colored diamonds are extremely rare comprising only 0.1% of all diamonds mined globally. Among this 0.1%, there exists a hierarchy of color rarity. Some colored diamonds are so rare that only a handful of them have ever been documented. Contrarily, some are so abundant that their volume alone can dictate fairly affordable prices, even less than their colorless diamond counterparts. Again, note that this categorization of value holds all other 3C's being equal, as a 10 carat, Internally Flawless, Fancy Vivid Yellow diamond can easily fetch a higher price when compared to a 1 carat, Light Pink diamond with inclusions. 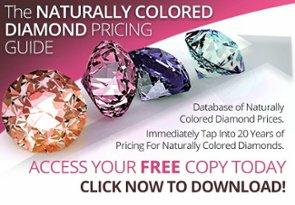 How Much do Common Colored Diamonds Cost? While still rare, the commonality of these stones compared to other colored diamonds on the list is significantly higher and therefore dictate much more affordable prices. As a “low end” purchase, these diamonds can be considered fine alternatives to their clear diamond counterparts. Now by all means, when saying “low end”, we do not mean low quality. Many of these colored diamonds still hold a remarkable beauty and can be used to create fine pieces of jewelry or even engagement rings. How Much do Rare Colored Diamonds Cost? This category belongs to the mid-to-high price range. This is mainly due to color intensity and the existence of modifiers and undertones. Unlike the yellows of the previous category, Canary Diamonds (Intense Yellow and Vivid Yellow) are highly sought after and their rich and vibrant color can oftentimes fetch prices on par with top quality clear stones, and in some instances even surpass them by a great margin. Pure Canary Diamonds will yield price premiums, while stones with gray or brown modifiers or undertones will yield discounts. If you still want to buy a rare colored diamond, consider looking for darker colored stones or those with dark undertones. This will hide any inclusions a diamond might have and you can settle for a stone with a lower clarity grading that still looks beautiful. How Much do Very Rare Colored Diamonds Cost? This category is comprised by the most rare colored diamonds in the world; colors we're used to seeing displayed in museums and sold at auctions for tens of millions of dollars. While this category can be further broken down into an internal hierarchy of its own, for the sake of time we will keep it simple. The following colored diamonds tend to start in the 5-figure per carat range. 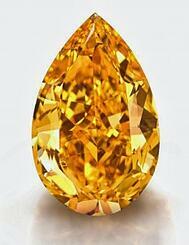 These colored diamonds tend to start higher into the 6-figure range. In essence, the above can be considered a rough base line. Any attribute improvement (4C's) such as more favorable cut, greater clarity, bigger carat size, and/or greater color intensity can cause exponential increases in price that will easily enter the millions of dollars per carat price range. If you still fancy a diamond in this color category but don’t have the budget, there are still ways to obtain more affordable diamonds. Unfavorable undertones and modifiers, lesser color and clarity grading, lighter saturation, and smaller size, all yield a price discount. Even when compared to a high quality D graded clear stone, a smaller, less clear, intense pink diamond will without a doubt still look incredible. This category holds only one color which is in league of its own. 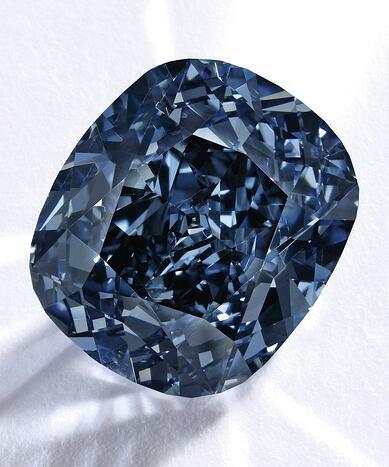 Only a handful of these diamonds have ever been seen at public auction, and each yielded astronomical price tags. Completely pure red diamonds are so rare, they're virtually nonexistent and yield price tags that break the $millions/carat benchmark. Even those with secondary hues such as brown and purple are capable of shattering the previously mentioned threshold. 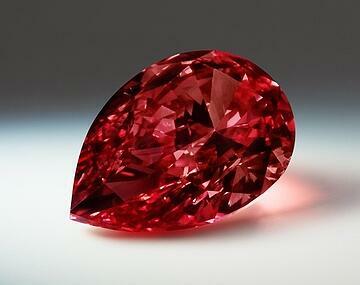 In essence, an “eye-clear” pure red diamond can fetch 7-figures/carat. Any increase in quality will increase this ratio exponentially. These diamonds are at the very top of the color hierarchy and will require massive amounts of luck, patience, and dollars to acquire one. 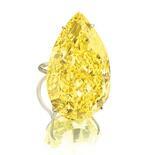 No other color in the naturally colored diamond spectrum has such a drastic effect as a modifier. It has been heavily speculated that Purple is the actual all time most rare color, matching or even exceeding the scarcity of Red. Purple diamonds are indeed rare, so rare in fact that only 3 quality purple stones have been recorded being over 3 carats. Now having said that, many can argue that there have been plenty more small scale purple stones than there have been reds, making them believe that it is indeed a more common color, especially in the really low carat weight categories. What do you think? We would love to hear your opinion on this. Which side do you belong to? We hope this article will help you gain a better understanding of each diamond category, and make your purchasing decision much easier. For more information on colored diamond investment please check out the links below and as always feel free to follow us on LinkedIn and Twitter.